And Get Better Results … A Whole Lot Faster! If yours is like many companies, you may already be winging your way around oil analysis. Perhaps trying to predict failures, or just basing oil drains on your oil analysis report recommendations. Either way, you probably know there’s a lot about oil analysis you haven’t mastered … and you might be wondering what you are missing. Wouldn’t you like to know ALL about what oil analysis can do for you? Now you can! 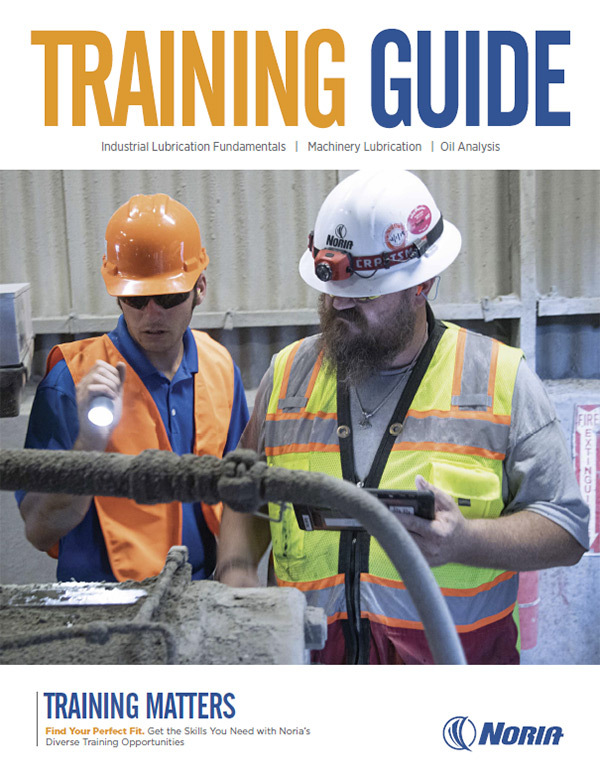 Maintenance professionals in Oil Analysis II will gain everything they need to properly sample, monitor health and detect additive, thermal and particle factors that degrade lubricants via on-site tests and lab analysis. They will review case studies, read and interpret oil analysis reports and participate in group problem-solving exercises. OA II aligns with ICML Machine Lubricant Analyst level II Certification requirements. Please note: All course registrations will close one week (on the Monday) prior to the first day of the training course. Not in the U.S.? Find Noria Training In Your Country. Developed by Jim Fitch, the Oil Analysis Certification Series training courses teach the “best practices” of oil analysis. Jim has worked with hundreds of maintenance professionals, researched countless world-class oil analysis programs, and helped numerous Fortune 500 companies turn oil analysis into centers of excellence and profitability. Gain the knowledge to transform your current oil analysis program into the envy of your industry. The fee for this training is $1,495 per person. Seating is limited and we encourage you to register early. Walk-in registrations will be accepted as space allows. Check-in Time Tuesday, 7:30 a.m. – 8:00 a.m. Course Duration Tuesday – Thursday, 8:00 a.m. – 4:00 p.m.
Attendees are on their own for meals, but fresh brewed coffee is available throughout the day and during breaks. A lunch break will occur from 12:00 p.m. – 1:15 p.m. Parking is not included in registration fees.